Home » Sustainable development » Over a BILLION trees planted in a year ! Another good news on the climate change front as over a billion trees have been planted according to the United Nations Environment Program (UNEP) since last year. Worldwide, people of all conditions planted trees in order to mitigate global warming. This is a strong message to the leaders of the world that are meeting in Bali. Since I read recently several articles on forests, I will into details on this most important topic and how they are important for us all. Before I continue, it is worth mentioning that deforestation is responsible of between 18 to 25 percent of greenhouse gases emissions, more than transport. According to the UNEP, 13 million hectares of forests disappear every year worldwide, the equivalent area of Greece or Nicaragua. 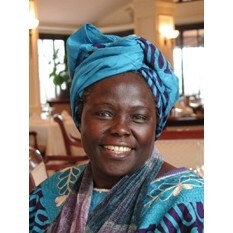 The billion trees campaign was launched on the model of the green belt movement from the Kenyan Nobel Peace Prize winner of 2004, which was founded by Professor Wangari Maathai (right). Thanks to her, more than 30 million trees were planted in Kenya in order to prevent soil erosion. The countries which planted the most trees are Ethiopia, with 700 million ; Mexico with 200 million and finally Turkey with 150 million. This thus makes more than a billion and additional projects have been done in India (see this article I wrote in August). 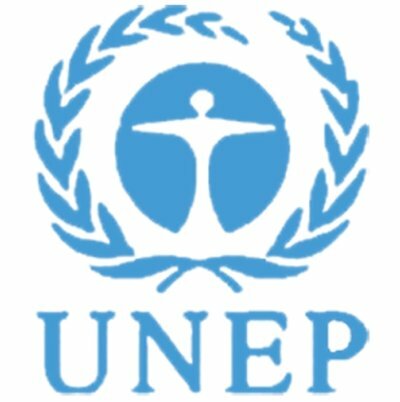 Today Prof. Wangari Maathai, the inspiration behind the initiative, United Nations Environment Programme (UNEP) and the World Agroforestry Centre (ICRAF) and Prince Albert II of Monaco announced that a promise made last year for the UN climate convention meeting to plant a billion trees had been met. Achim Steiner, UN Under-Secretary-General and UNEP Executive Director, said: “I am delighted to say that an initiative to catalyze the pledging and the planting of one billion trees has achieved and indeed surpassed its mark. It is a further sign of the breathtaking momentum witnessed this year on the challenge for this generation-climate change”. Even more countries like China or Indonesia are due to announce their will to plant million of trees. This is indeed great news, but meanwhile deforestation goes on. Indeed, afforestation (planting new forests) is good news, but I would like to know if it offsets deforestation and if the trees that are planted are not cut afterwards. When I see how deforestation is going on in countries like Indonesia (see below) or in Brazil, it is a question of importance. I strongly recommend you to read the article as it brings a lot of interesting data. The French website Notre.Planète.info did an interview with an economist from the World Agroforestry Centre (ICRAF) which is mentioned above. It then appears that countries where deforestation takes place could be paid to protect their forests. To conclude, we can say that afforestation works, and more importantly works fast and big. Now we just have to keep going on afforestation and to stop deforestation. I remain hopeful when I see all the articles that tackled forests I previously wrote. Edited on December 8th : Yes, people of all conditions plant trees. 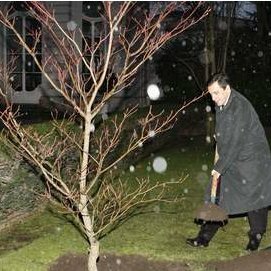 Indeed, the French Prime Minister François Fillon planted a tree in Matignon, the official residence of French Premiers Ministres. This is a tradition as since 1979 with Raymond Barre, most Premiers plant trees in Matignon. For more details, you can have a look at the article from Le Figaro.